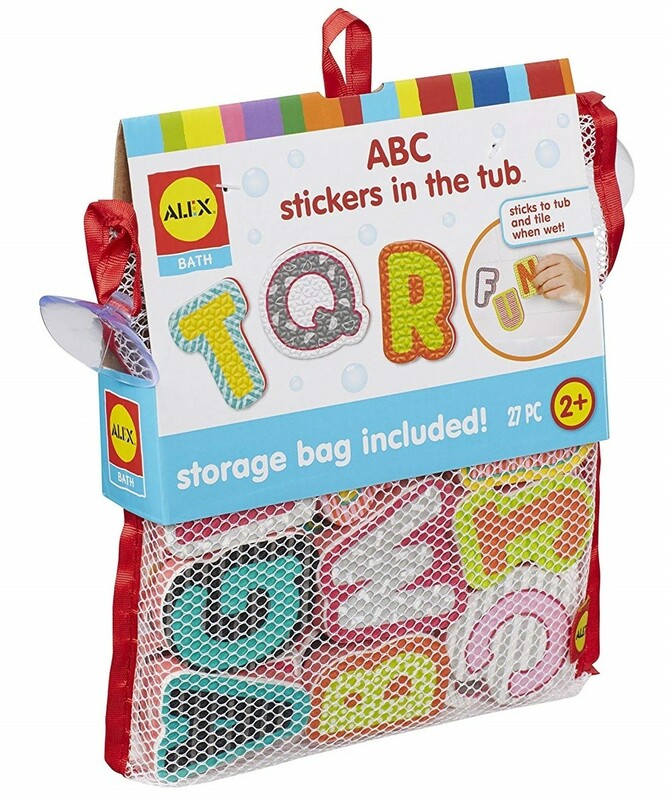 Even bath time can be a time for learning with these soft foam alphabet shapes from Alex Toys! 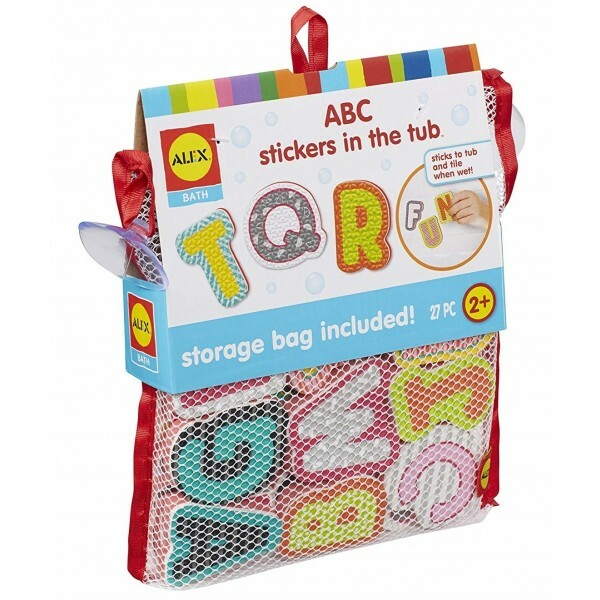 These shapes stick to the tub or tile when wet, allowing kids to practice their letters or spelling. 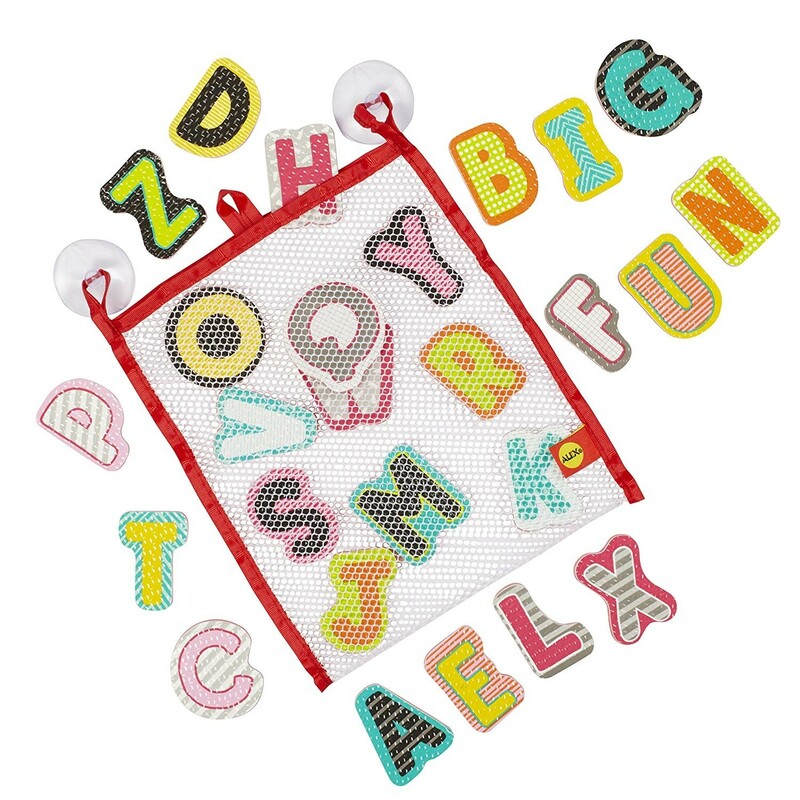 The set includes 26 colorful foam letters, plus a mesh storage bag with suction cups to hold it on the tub wall, so you can be confident they'll dry properly.